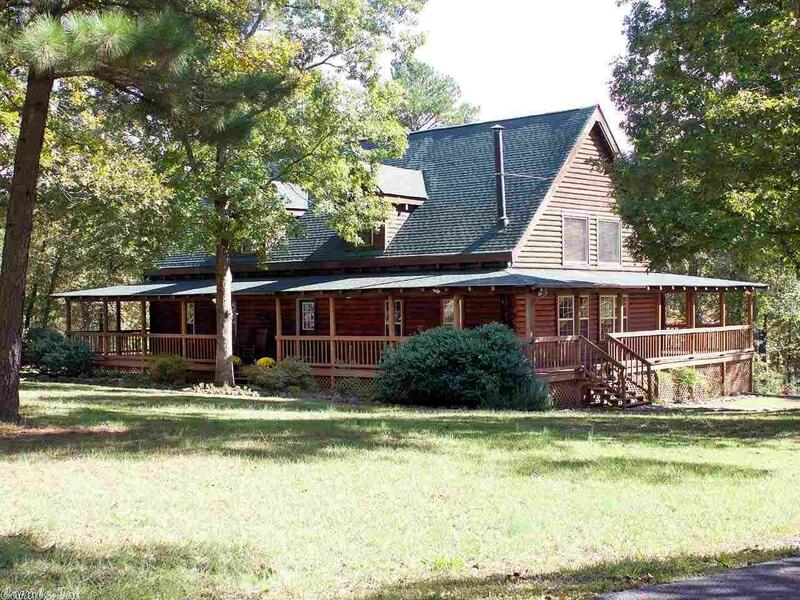 Wonderful log home on 5 wooded ac. complete w/pond access & lake view. Master on 1st level, home office plus 3 other bedrooms, open floor plan, kitchen w/island. The wrap around porch, wood burning stove, huge open loft area, & triple rear-loading garages w/ space to house all your toys. The extended garage includes a workshop & plenty of storage space. Private, yet just minutes away Chenal Parkwayâ¦.in gated Somersett Subdivision. See Remarks. *Seller offers up to 5K towards Buyers CC w/acceptable offer.